Singapore [sg] & New York [us] : Oxford University Press, 1988.
xiv, hlm. 146-326,  leaves of plates : ilus., peta; 35 cm. Rev. ed. 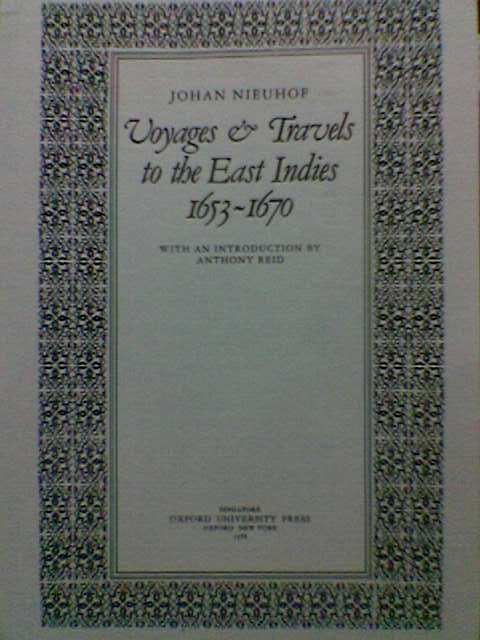 of: Mr. John Nieuhoff"s remarkable voyages & travels into ye best provinces of ye West and East Indies. ; Originally published: London, 1704.